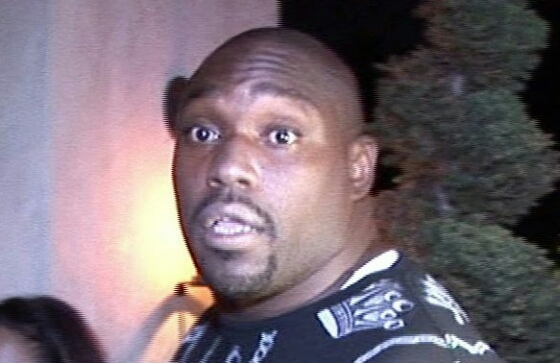 Sapp Suspected in Domestic Violence | "IT'S A STEELERS WORLD"! First he solicited and assaulted two prostitutes over Super Bowl weekend in Phoenix, now he’s pimp slapping patrons in Vegas..”allegedly “. Warren Sapp, the NFL Hall of Famer and documented Steelers hater has been named a suspect in a domestic violence investigation in Las Vegas. Law enforcement sources told TMZ Sports a report has been filed against Sapp in which the 42-year-old is accused of getting into a physical altercation with a woman in a casino on April 28th. Cops met with the alleged victim at a different location after the incident and took a report, though Sapp was not present at that time. Law enforcement sources tell us the woman appeared to have suffered minor injuries. These incidents coming from a man who all but convicted Ben Roethlisberger after he was falsely accused of a crime that does not need to be mentioned, because it never happened. Although Sapp has not been arrested or charged with this crime yet, he was arrested on the solicitation/assault charges in Arizona back in February. Cops are in the midst of investigating the domestic violence charges. Way to taint your unearned Hall of Fame enshrinement Sapp. You are now officially the hypocritical Bill Cosby of the NFL..and its network.